Bardot Deneuve Fonda: My Life With The Three Most Beautiful Women In The World (1986) publiRoger Vadimd by Simon & Schuster (ISBN 0671530070/ISBN 9780671530075). His mother Marie-Antoinette Ardilouze was a French actress. The late transsexual actress Candy Darling wrote of an affair with Vadim in her diary My Face for the World to See. 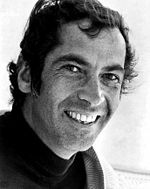 Roger Vadim (26 January 1928 – 11 February 2000) was a French screenwriter director and producer as well as a journalist author and sometime actor.